If It's Hip, It's Here (Archives): Glove & Hate Tatted Oven Mitt By Stuart Gardiner For Of Kings & Cabbages. 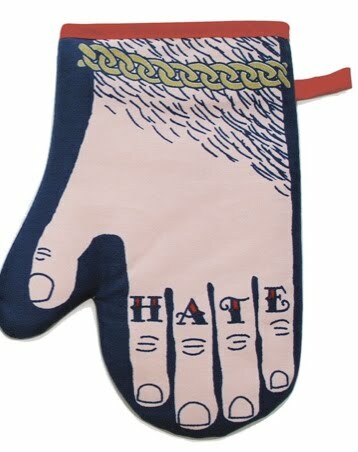 Glove & Hate Tatted Oven Mitt By Stuart Gardiner For Of Kings & Cabbages. 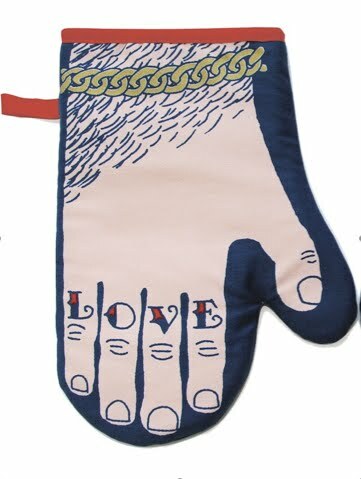 Of Cabbages and Kings and UK designer Stuart Gardiner have collaborated to make this super fun and functional oven mitt. 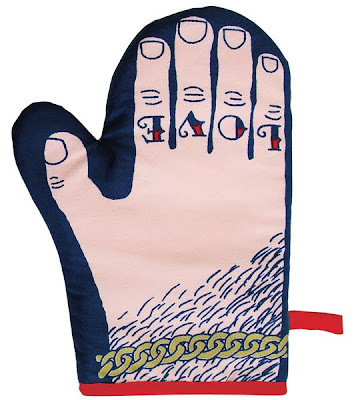 It is a single double-sided mitt oven mitt printed in 4 color inks with a metallic gold bracelet. 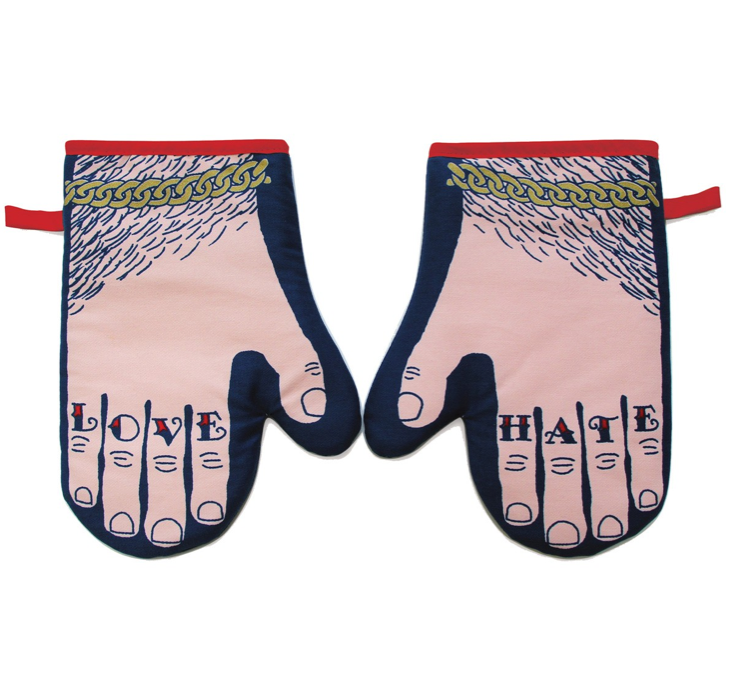 'Love' on the right hand side, 'Hate' on the reverse left hand side. Every purchase from CultureLabel helps to support the arts. or buy it from Stuart Gardiner here.